The one thing that our readers always ask is how they can make their outfits look more expensive—whether they are working with a budget that stretches to H&M or one that can accommodate The Row. Colours play a big role here. For example, camel and white can add a couple of zeros to any ensemble. Fabrics are arguably just as important, and the answer isn't simply wearing 100% silk and quality cashmere. This year, satin and linen have become trending textures and can look just as luxurious if bought on the high street. Keep scrolling to see and shop the six fabrics that will elevate your wardrobe this winter. Silks look expensive, but that's because they usually are. You can get the effect with satins—just make sure you opt for a more matte finish, as overly shiny satins look cheaper. When it comes to knitwear, we all know that cashmere looks expensive, but a really chunky cable knit also looks just as luxurious. Houndstooth or a classic check is a refined choice—whether you're investing in a luxury piece or shopping on the high street. Linen was one of the key trends this summer, and it isn't just for holidays. Australian designer Albus Lumen, for example, uses this fabric in its winter collections too. 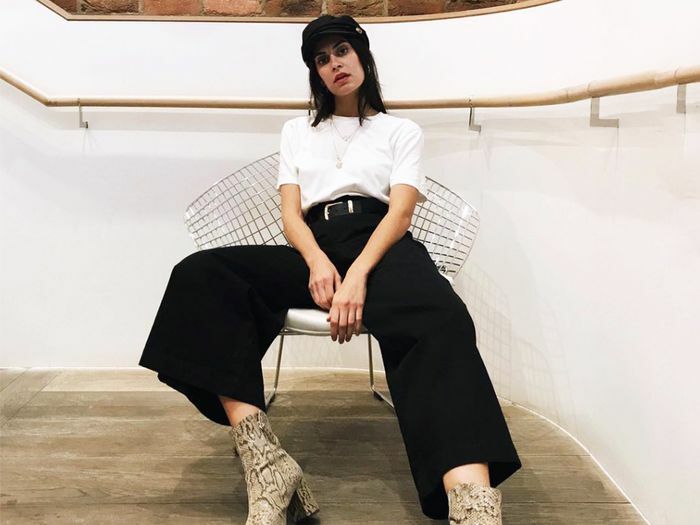 Hannah Almassi, Who What Wear UK's editorial director, says that grey marl always looks chic—whether in knit, cotton or jersey. Camel wool—whether it's a blazer or an ankle-grazing coat—is a piece worth investing in.